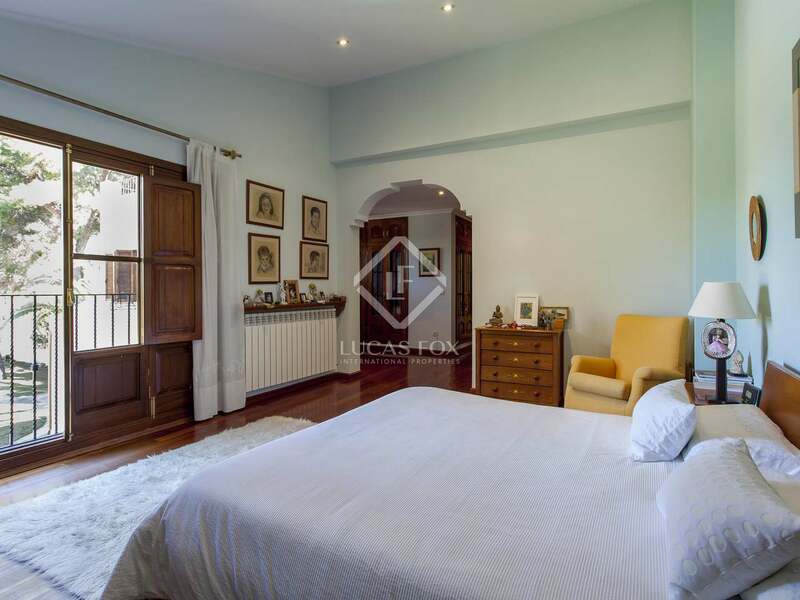 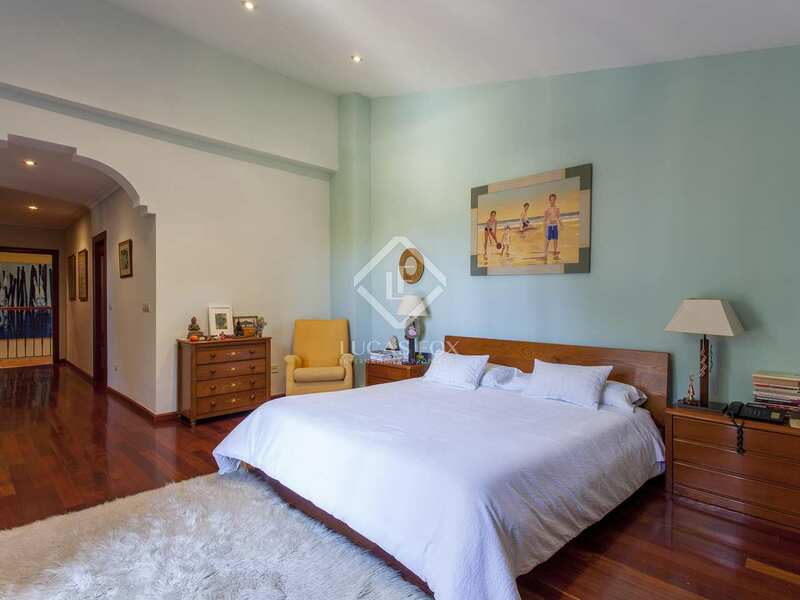 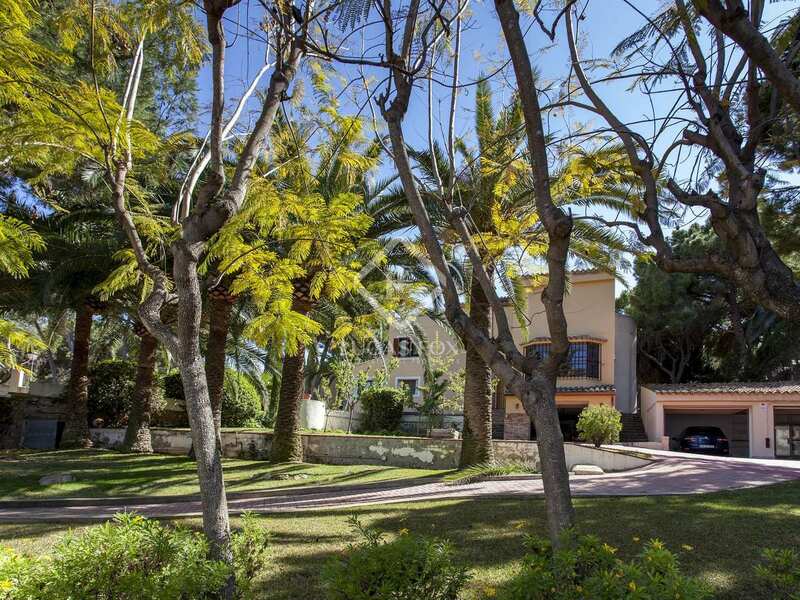 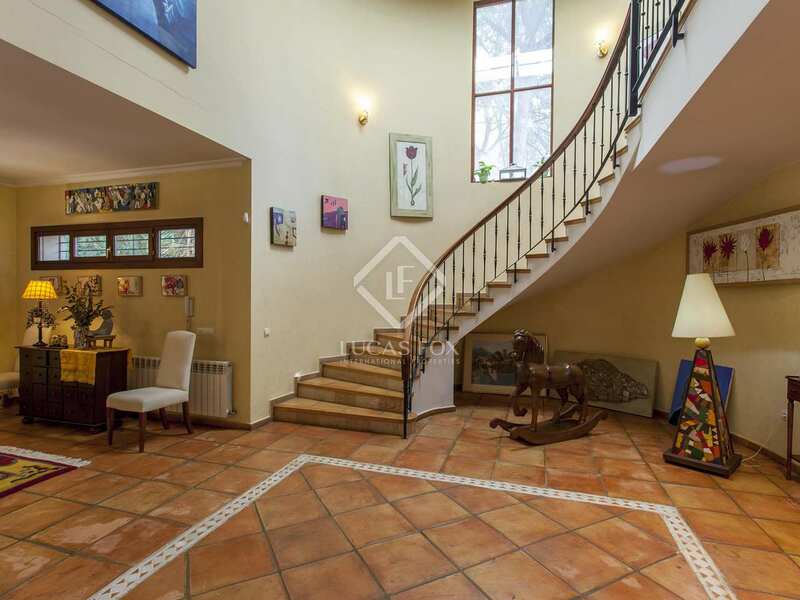 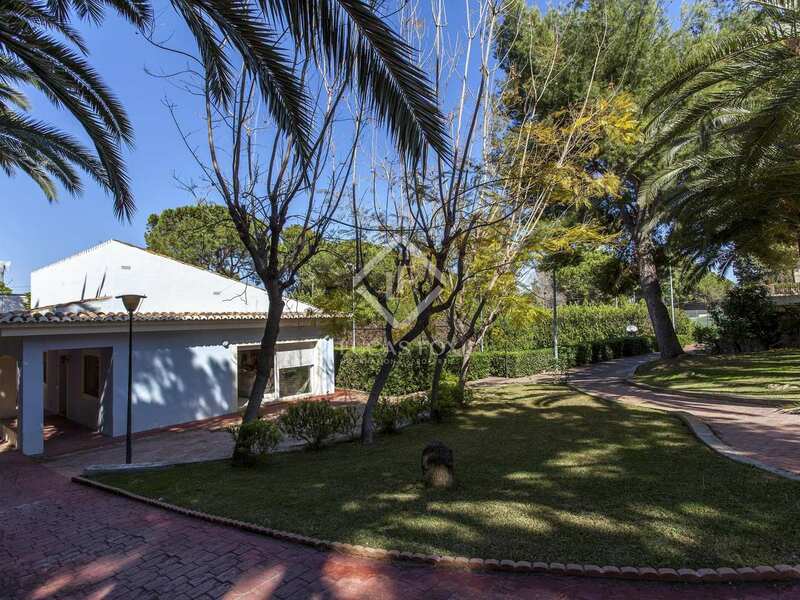 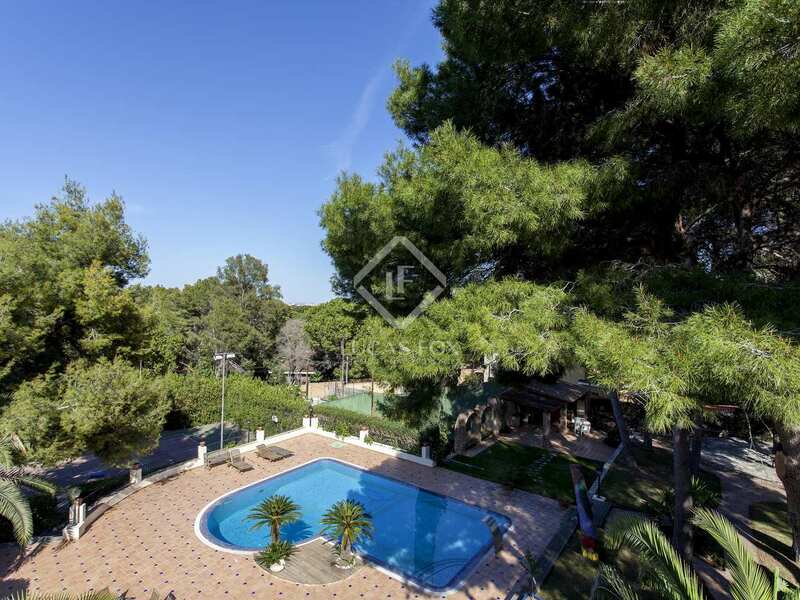 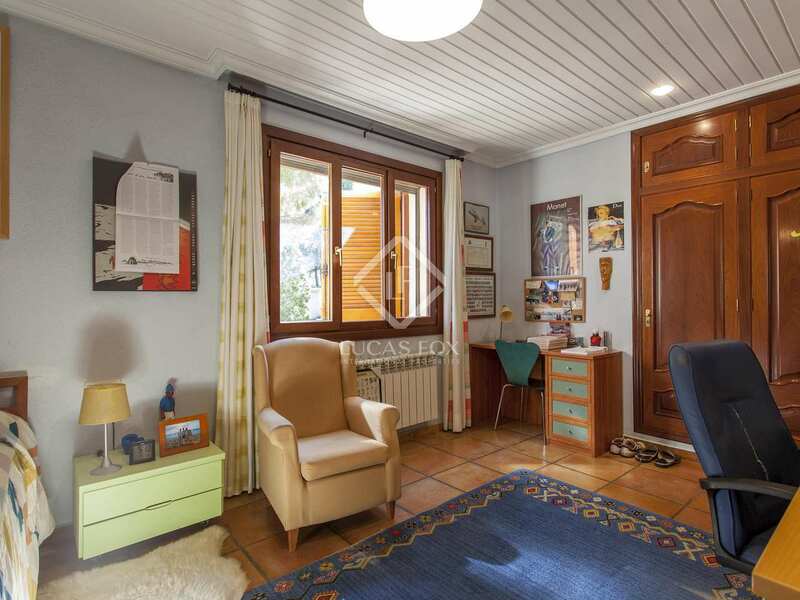 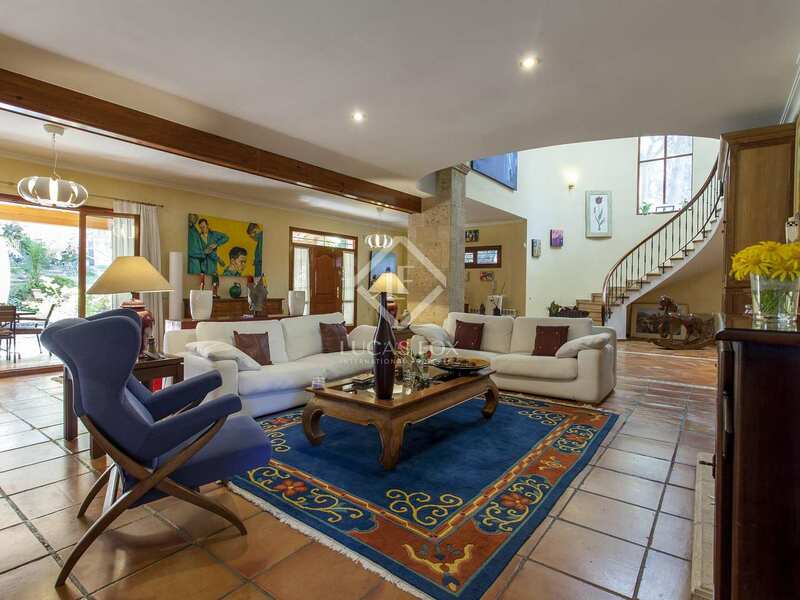 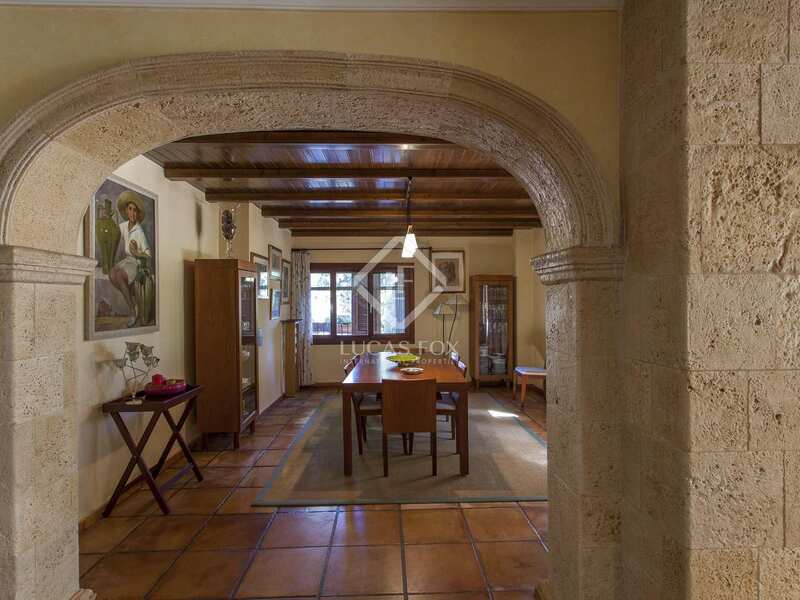 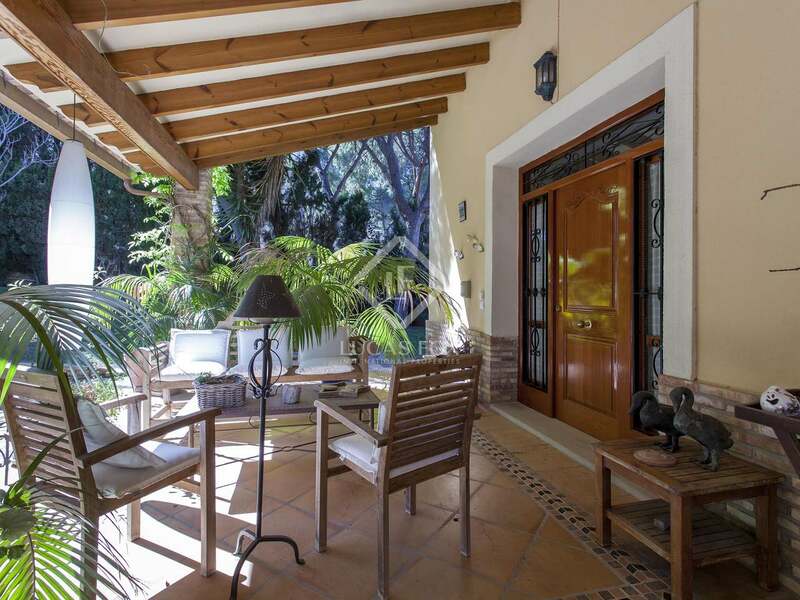 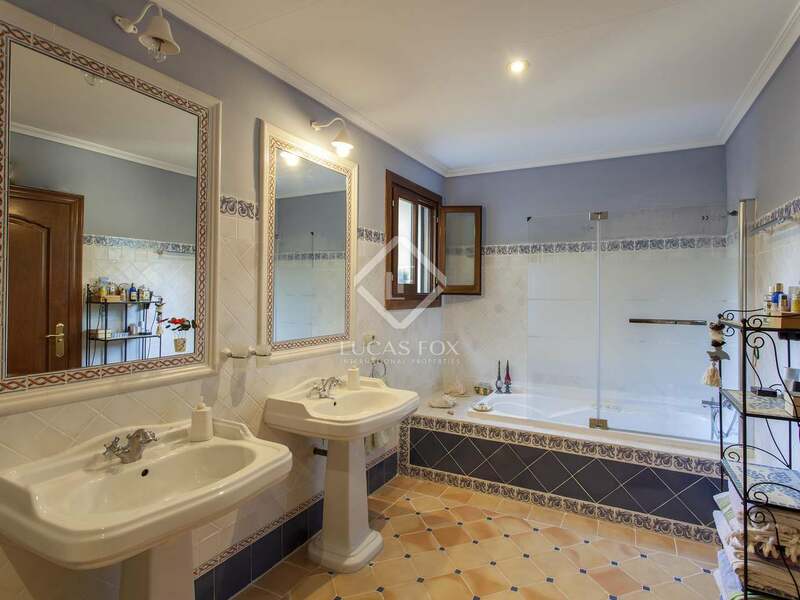 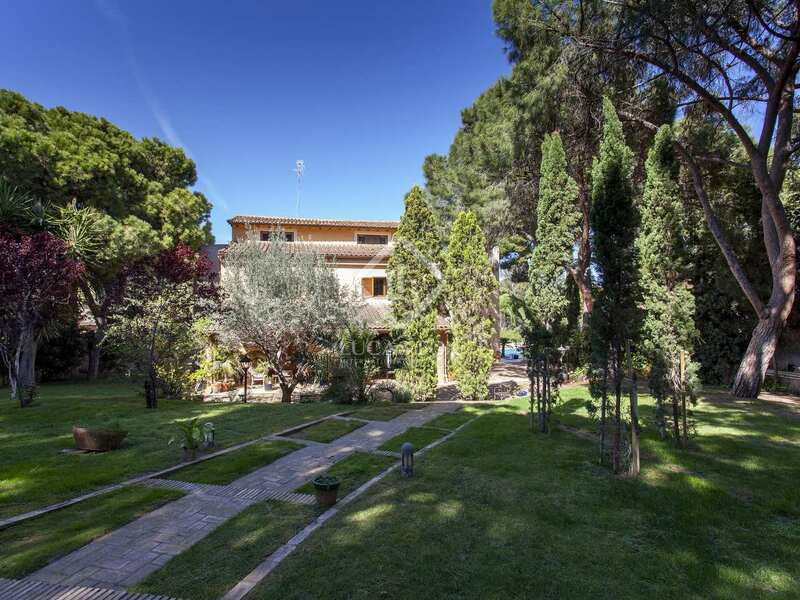 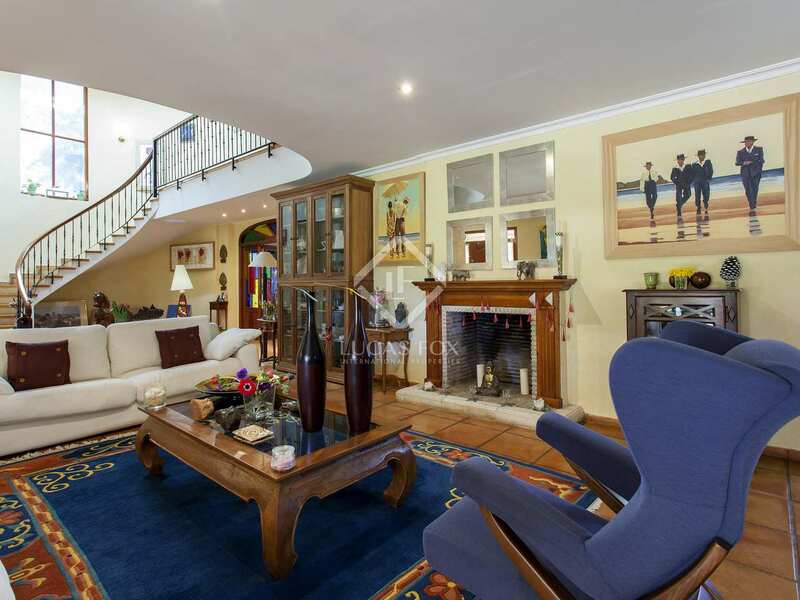 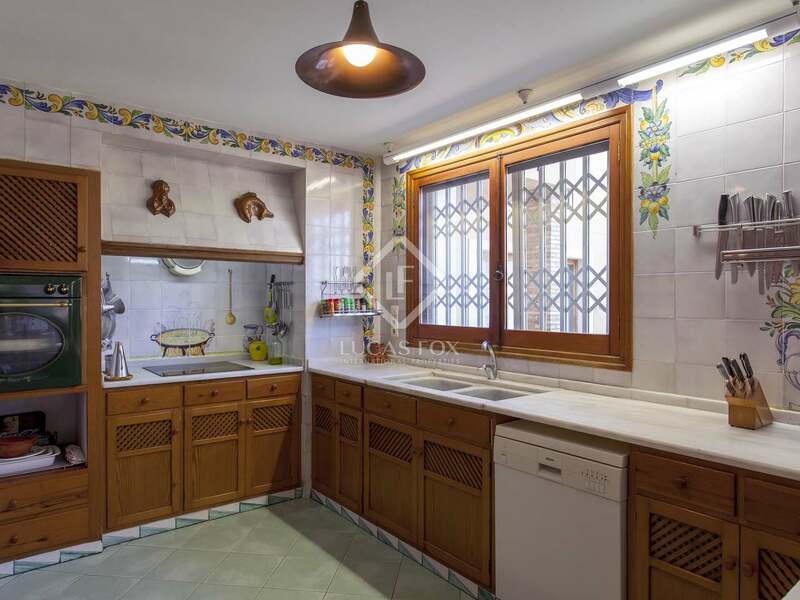 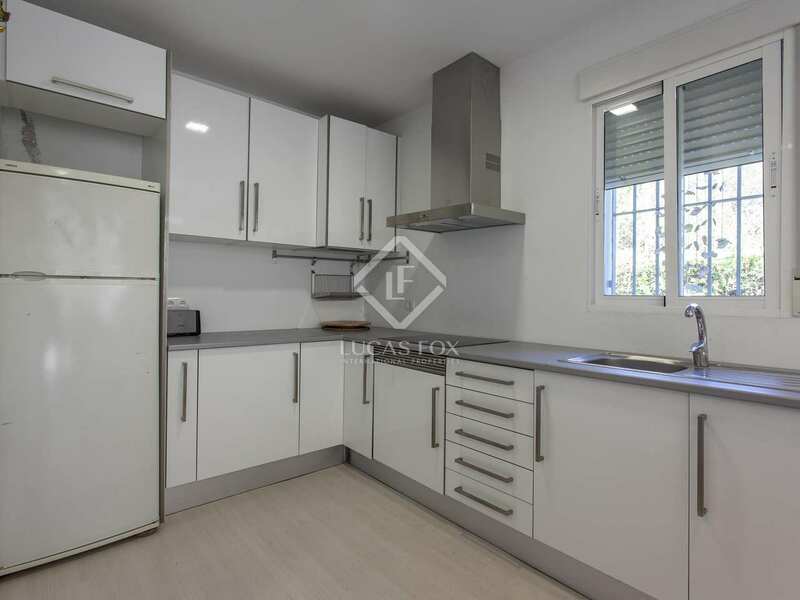 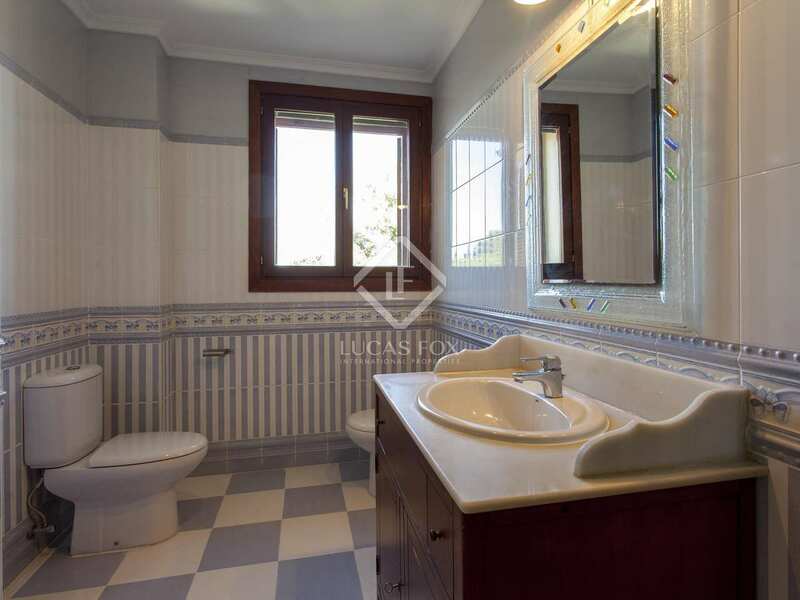 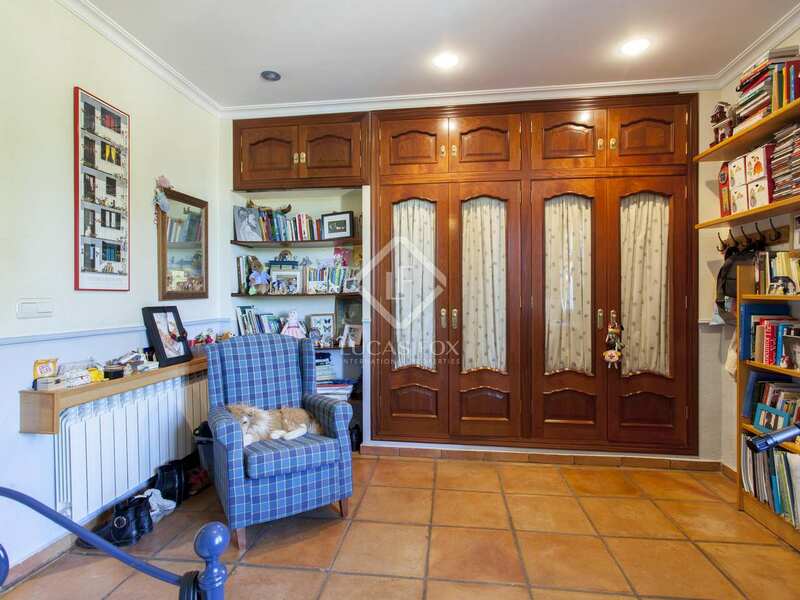 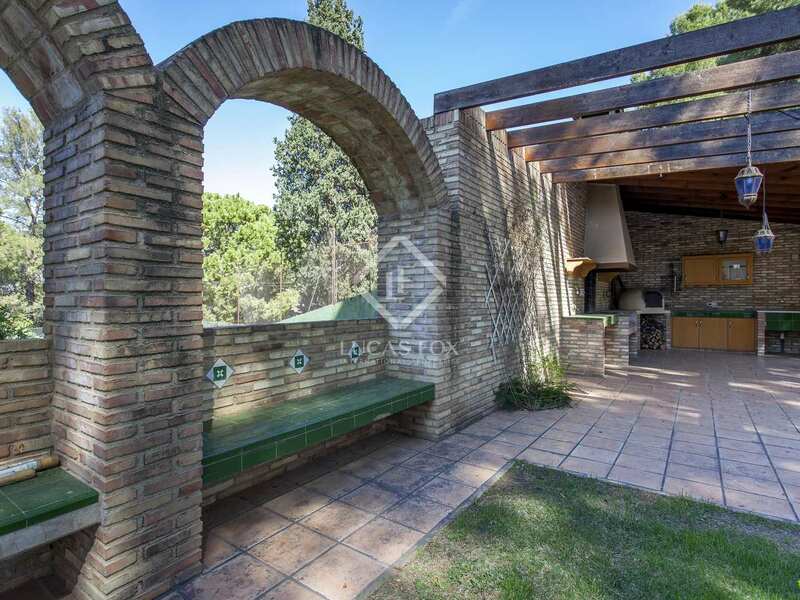 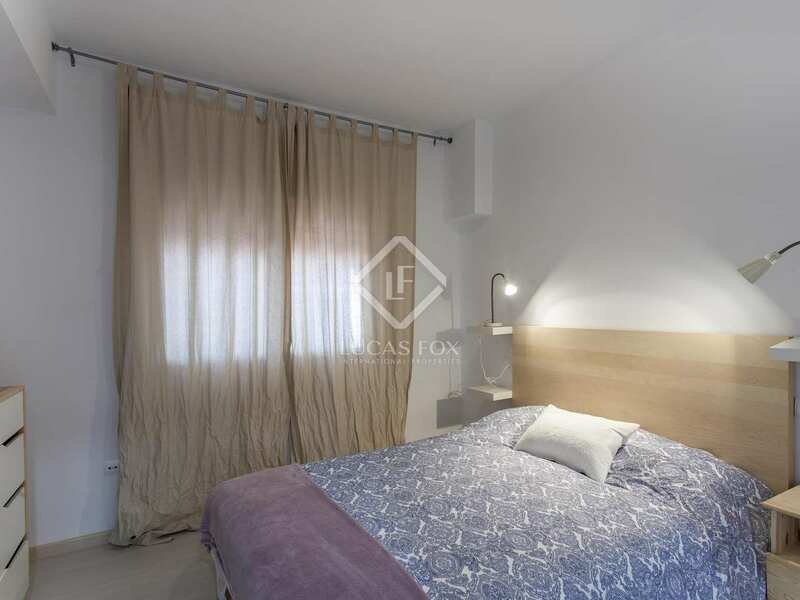 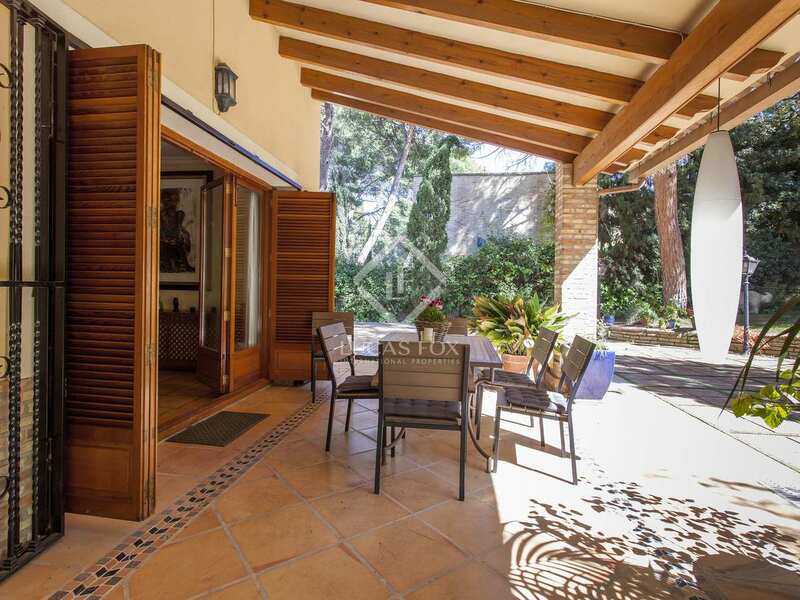 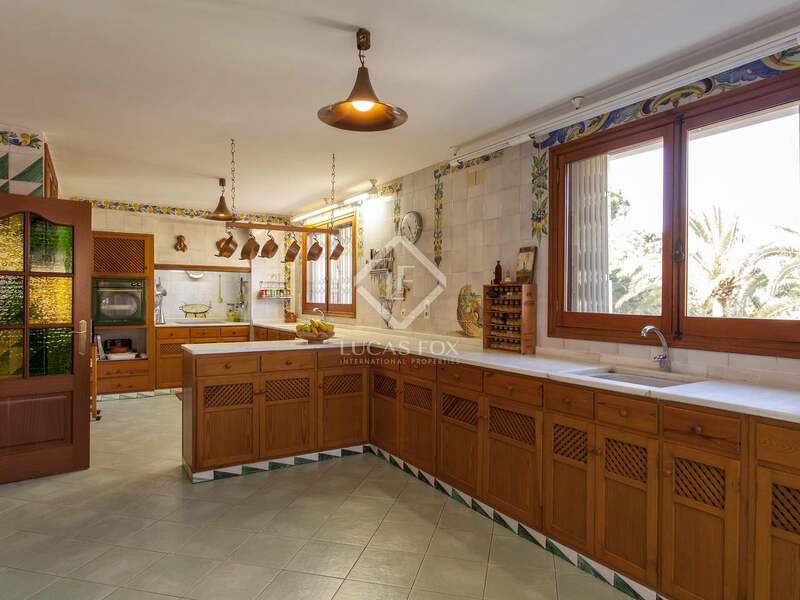 This detached house can be found in the residential area of Campo Olivar, in Godella. 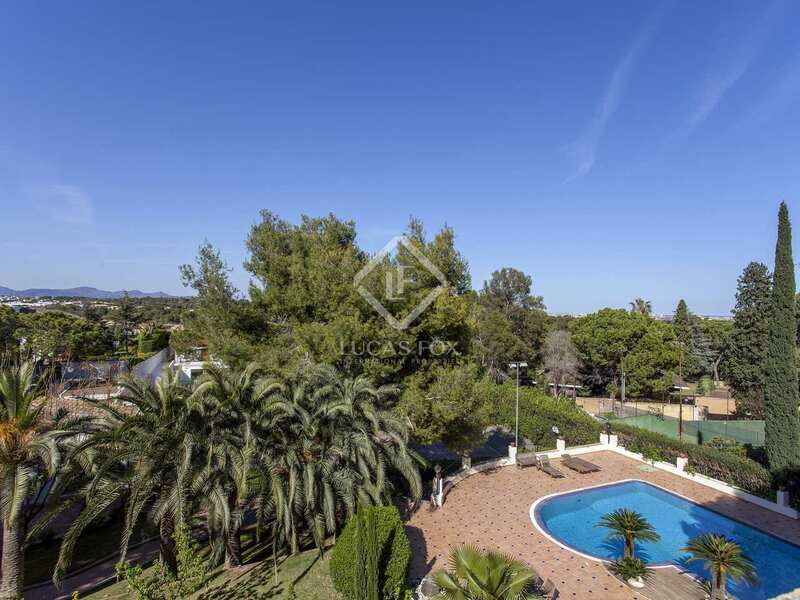 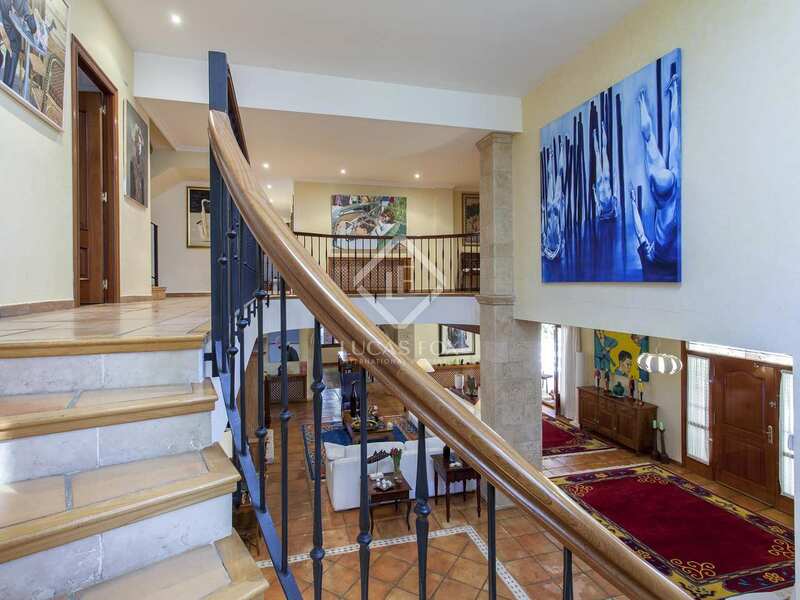 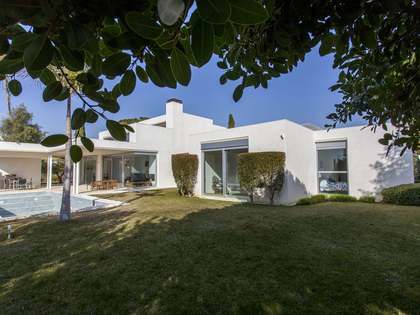 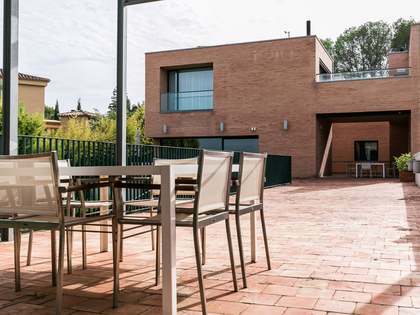 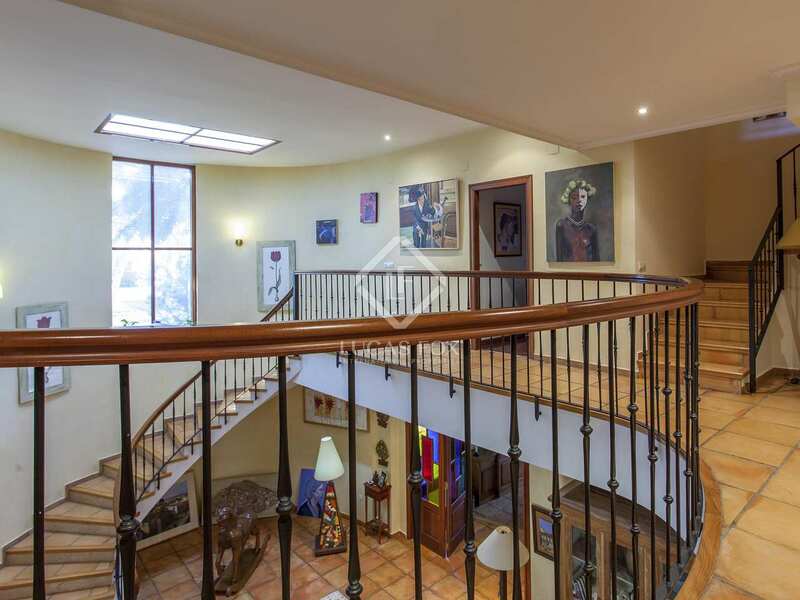 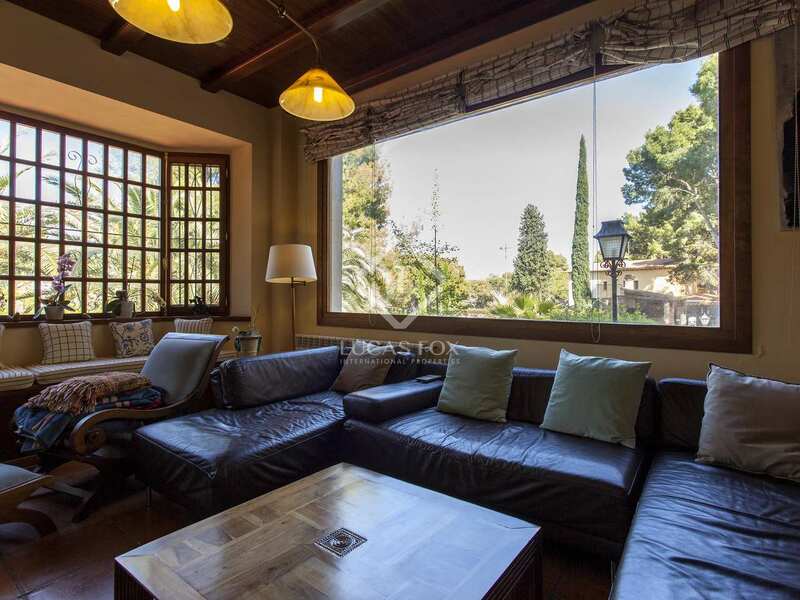 It is a very special plot because there are very few of this size (almost 5,000m²) and the house is in the centre of the plot, cut off from the street and it enjoys views over green treetops and the Sierra Calderona Mountains from its top floors. 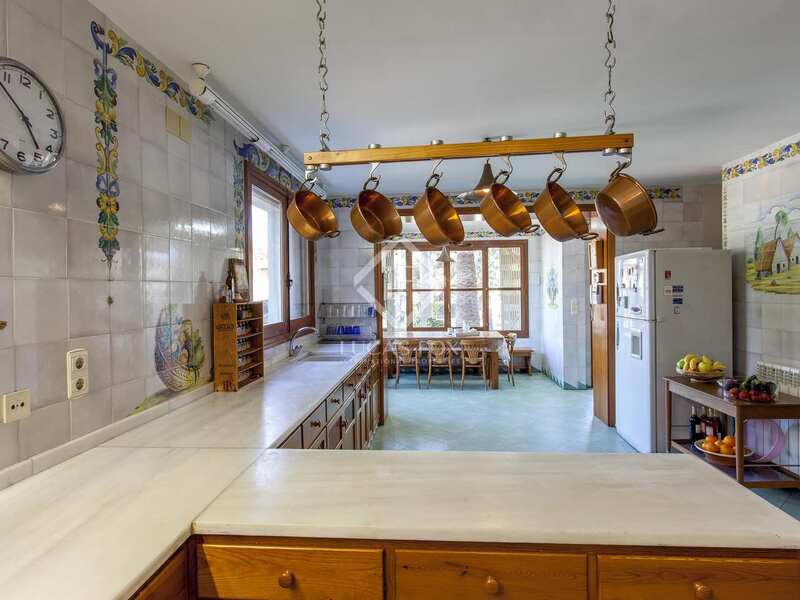 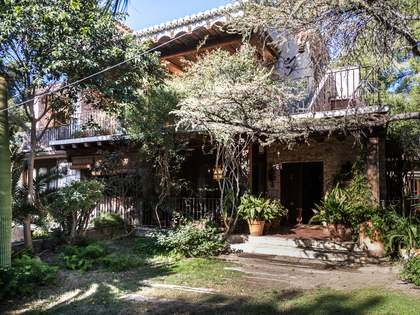 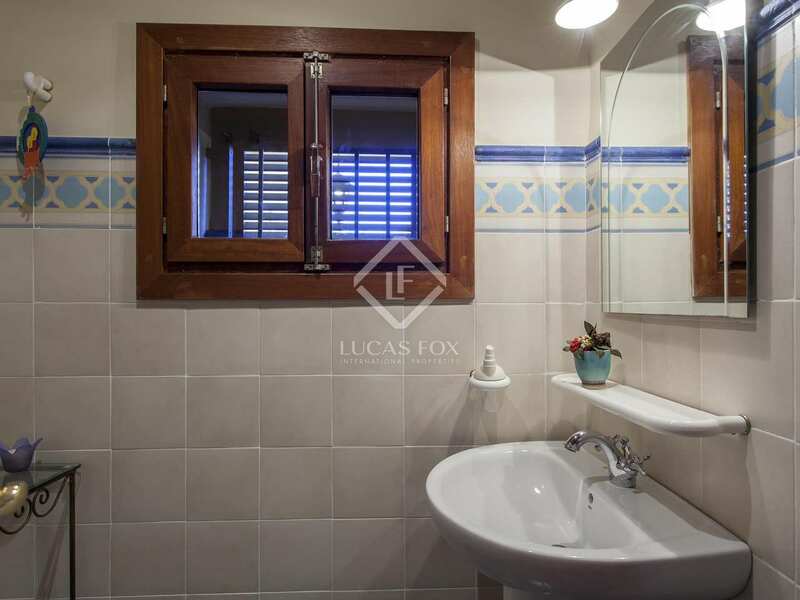 The property is made up of a rustic home, of simple appearance on the outside but with plenty of charm inside. 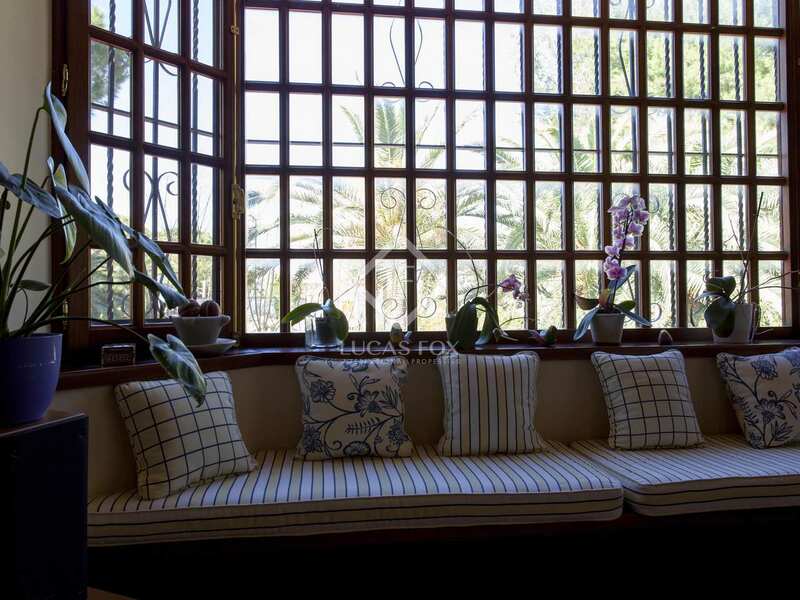 The property was built in 1982, but was renovated 10 years ago and has been well maintained ever since. 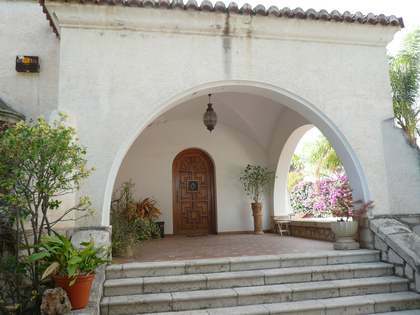 It is made up of a main house and a guest house. 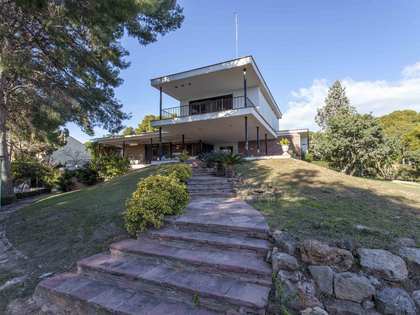 The main house is laid out over 3 floors. 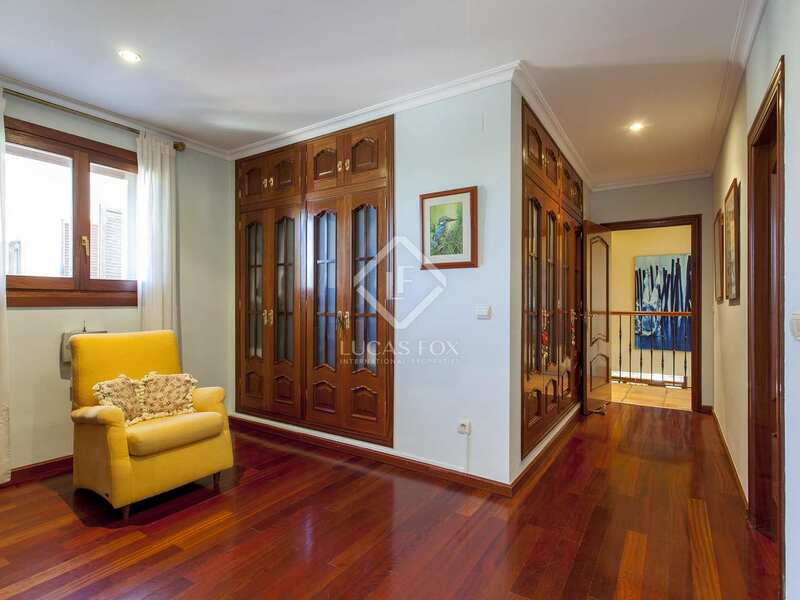 The ground floor contains the day area, with a living room, dining room and a kitchen. 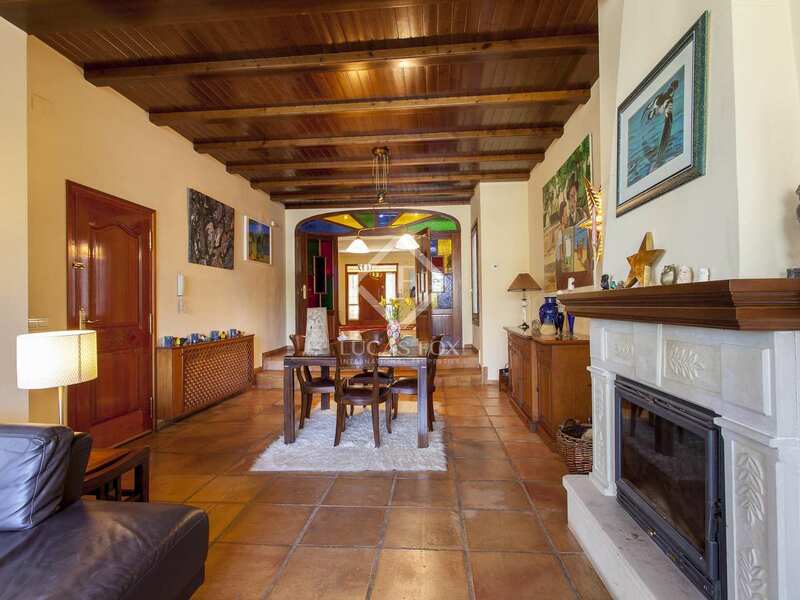 There is also another living room with a fireplace and a terrace and a bathroom. 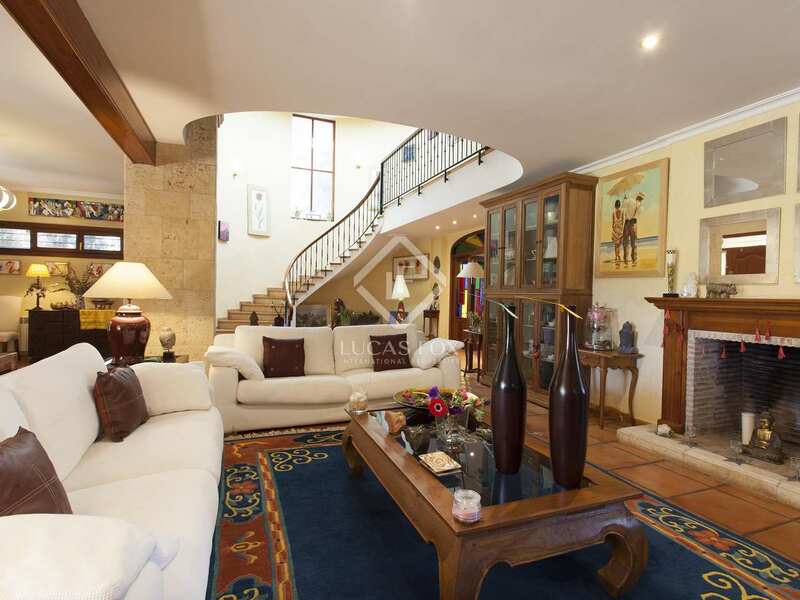 On the first floor is the night area with the main en-suite bedroom with a dressing room, 4 spacious bedrooms and 2 bathrooms. 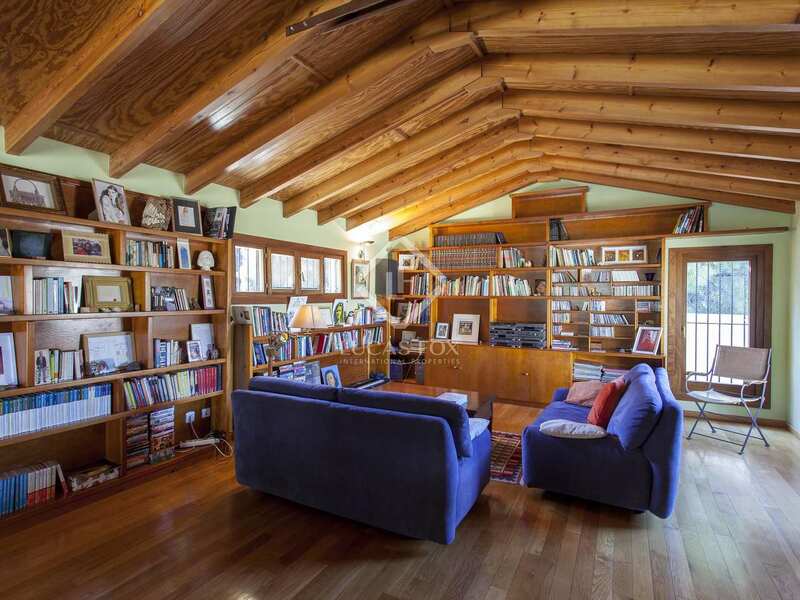 Finally, the second floor contains an attic, ideal for use as a study or a library, and a terrace with a solarium area. 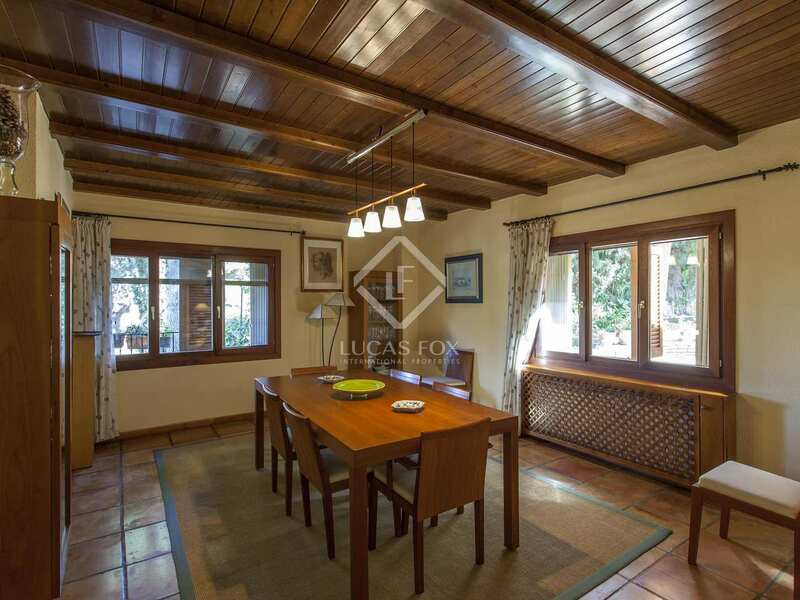 The guest house, which is in the garden, consists of a living room, open plan kitchen, 1 bedroom and 1 bathroom. 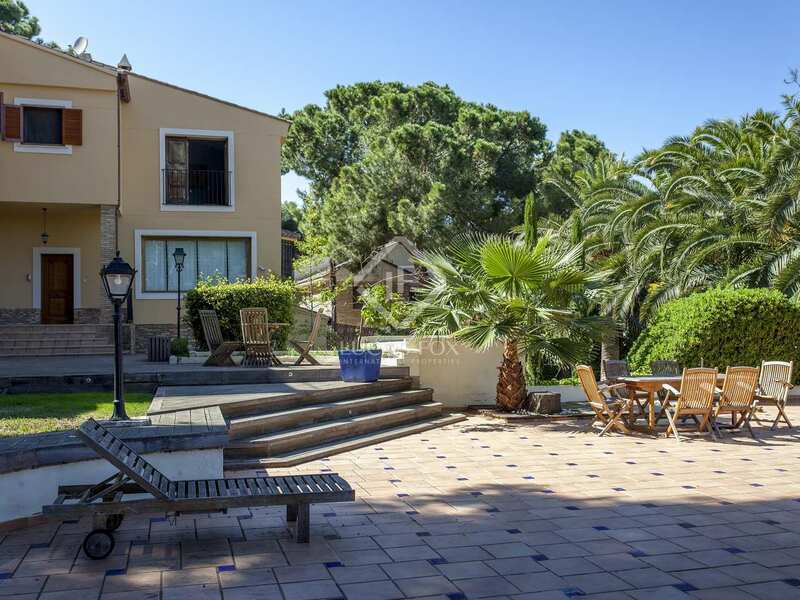 Outside, we can find a large garden area with trees and a lawn, a swimming pool surrounded by a paved area, and a large area for barbecueing and outdoor dining. 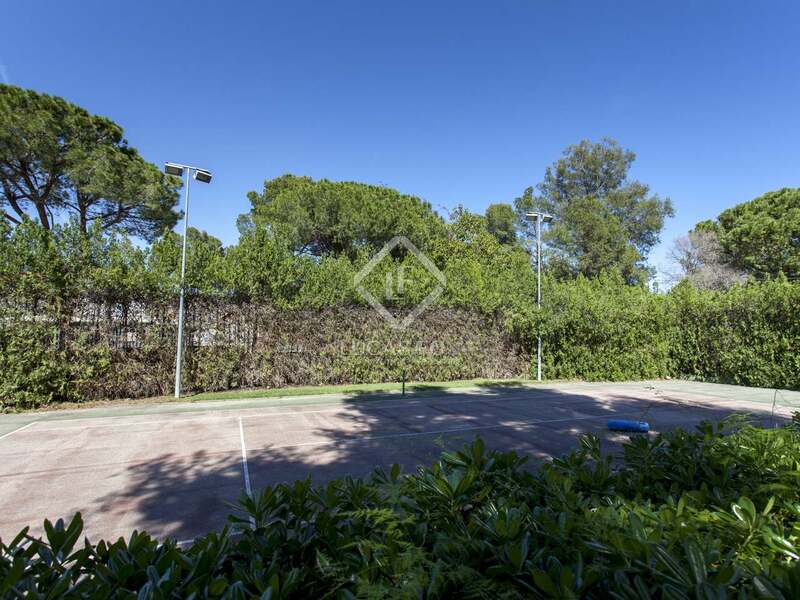 At the very bottom of the plot there is a tennis or racquetball court and a football pitch. 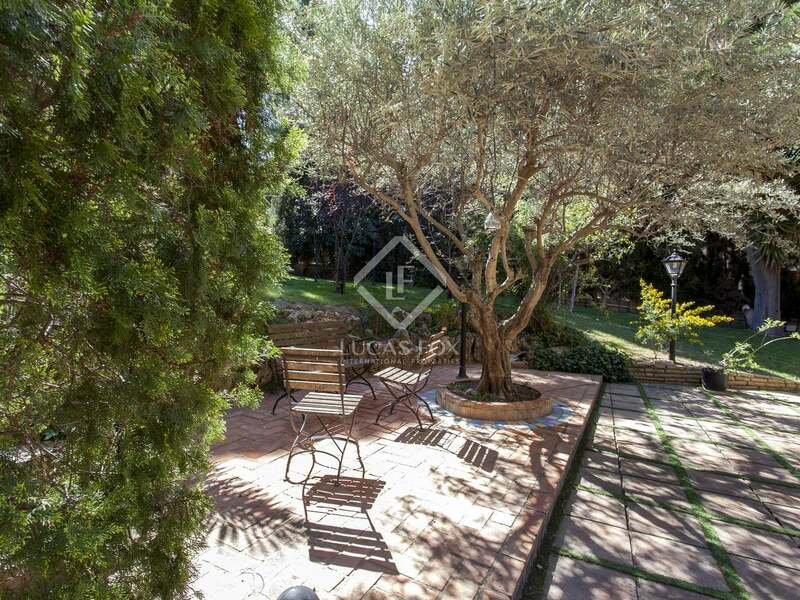 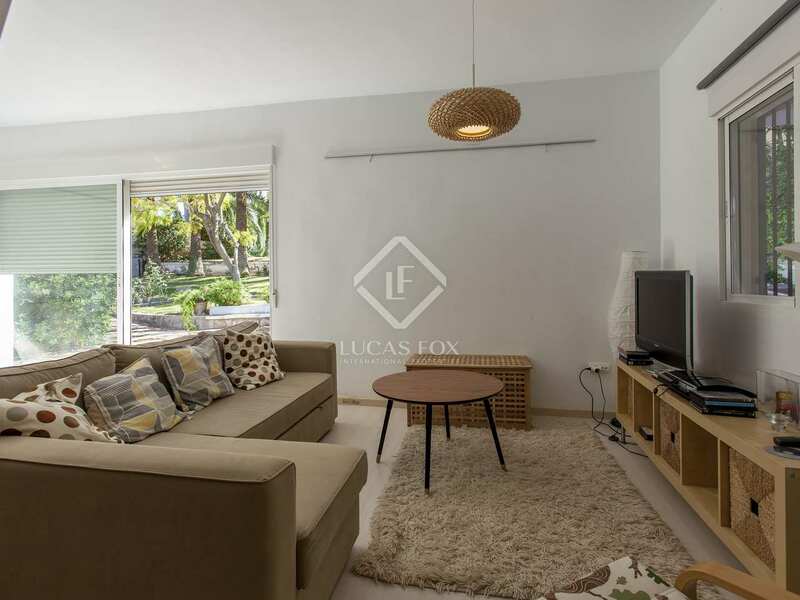 This wonderful home would be ideal for families who are looking for a spacious and comfortable home with a large garden. 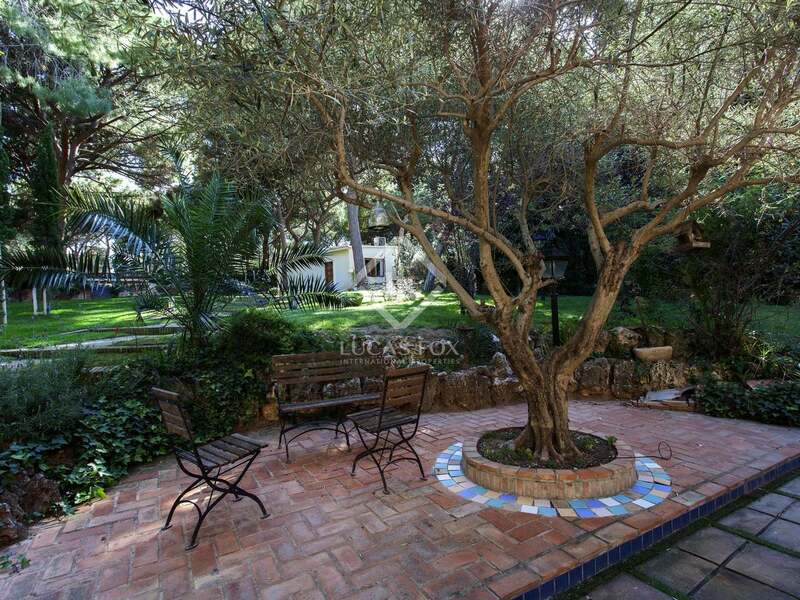 This house can be found in the residential area of Campo Oliver, in Godella. This residential area is close to 3 schools, and the international schools are just 5 minutes away by car. 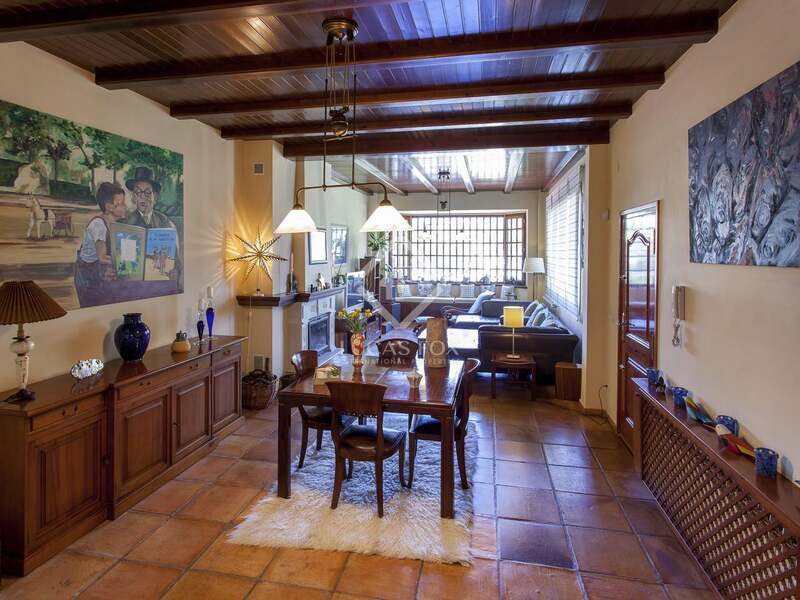 The property is only 5 minutes from the closest towns and metro stops. 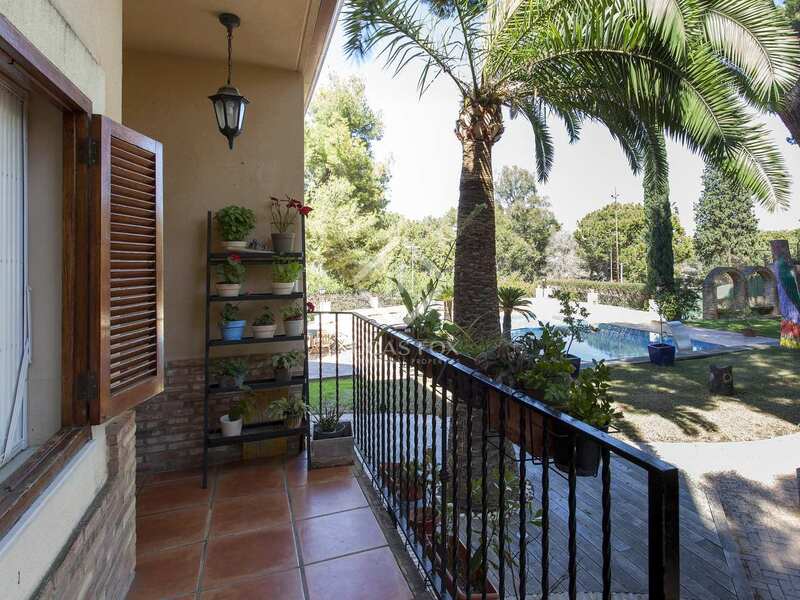 The airport is 15 minutes away and the beach is about 15 or 20 minutes way.